This ring is surprisingly elegant. 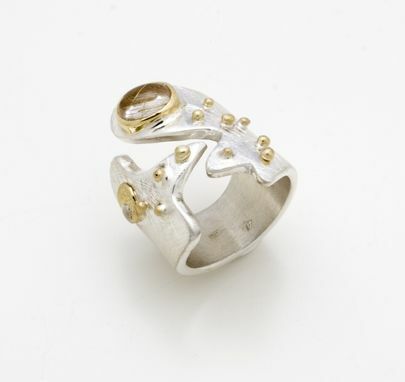 Silver provides a stylish finish to the entire piece, which is studded with gold pods. A quartz cabochon gem is the focal point of the item, making this a fine piece of jewelry. I can customize the size and slightly modify the design for you if you wish.